As I promised you in my previous post, this time I wanted to write and show you a little ‘’Me’’ time. This Valentines, my boyfriend is going to work all day, so I will spend the day on my own ( well not exactly, as I will have my 2 furry trouble makers with me). Despite being in a relationship for nearly 8 years now, we don’t do everything together. For past years, we treated Valentines like ‘’Oh we need to go for dinner’’ but nothing more than that. As if we couldn’t just do that other year, than supporting billion pounds hospitality industry, but you know.. everyone does, so we did have to to. This year, I told my boyfriend, he doesn’t have to take time off just for that. No point. So, I am focusing on loving myself this Valentines Day! You know, how Justin Beiber wrote this song ‘’Just go and love yourself’’, which apparently is about the beauty blogger he met 😉 Oh we bloggers are so bad, bad girls ;p Well, I am no where near as the pretty lady of his song but I do work hard and deserve a little time for myself. I wanted to show you how you can in few simple tricks make your Valentines feel special! Whether you a single or in relationship, but spending this day alone, don’t turn into this moody witch who Facebook moan ‘’no one loves me, I’m alone this valentines’’ or ‘’I’ll delete every friend who post picture from restaurant or engagement ring’’ you know, these stupid statuses that’s only shows you full of jealousy in reality! 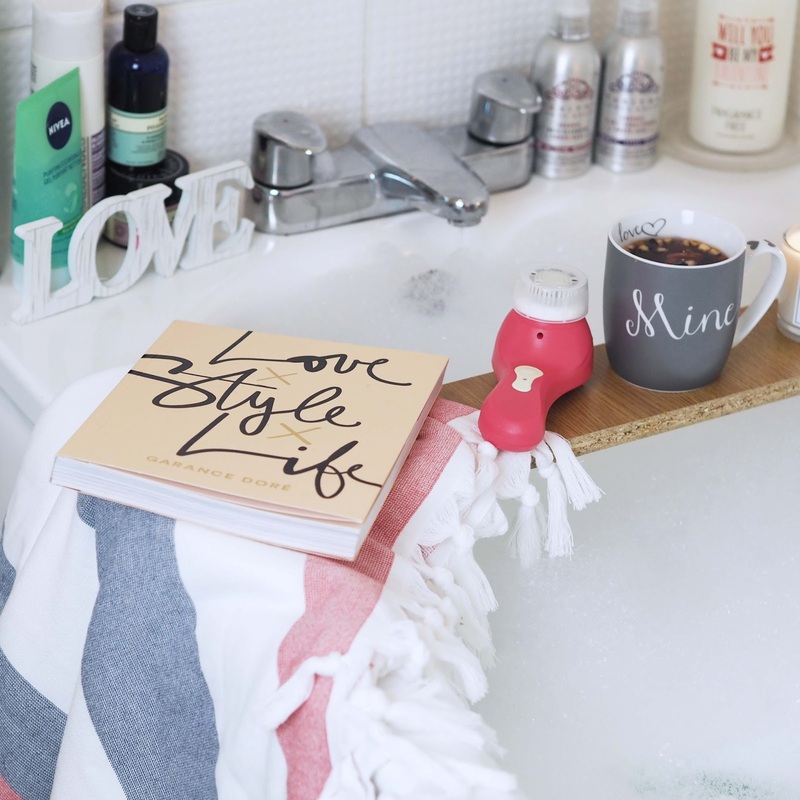 To fully enjoy yourself don’t just pour water to bath, get quick one, order chinese and watch tely… Create a theme evening for yourself! Your own spa, your own sanctuary where you can relax, recharge and rethink, and most of all admit that your own time can be really therapeutic and amazing! 1. Bubble Bath! This is something you need to do! With no excuses! 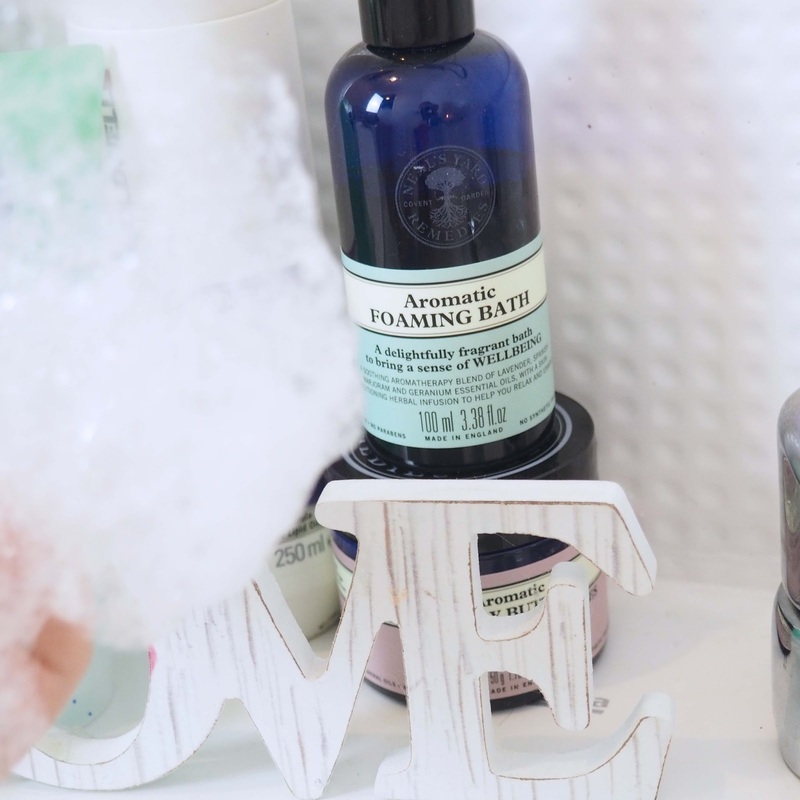 Choose aromatic bubble liquids, I have opt for the Neil’s Yard Remedies Aromatic Foam bath! Is so relaxing and smoothing, perfect to recharge and enjoy it! 2. Good Book! You need to get your thought’s away so order something really inspirational to read! 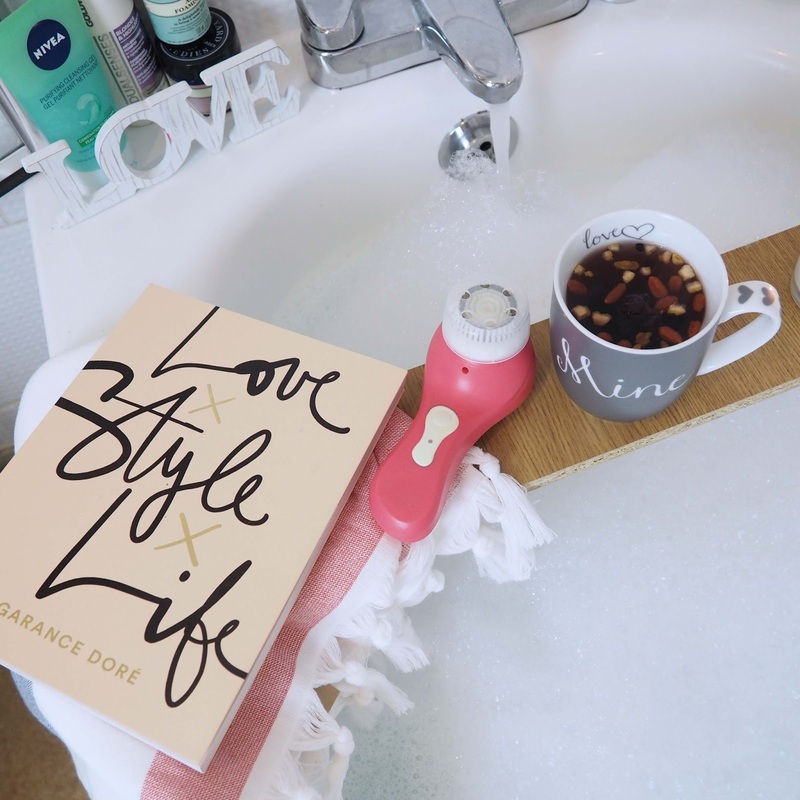 I opted for Garance Dore book ‘Love, Style, Life’. I ordered from Amazon to be cheaper! It’s honestly great! 3. Exfoliate. I used my Magnitone brush (my holy grail) and coffee scrub for body! My skin is squeaky clean after that! 4. Drink! You need something really nice and aromatic to drink! I don’t drink alcohol on my own, so I chosen beauty tea from Neal’s Yard Remedies. 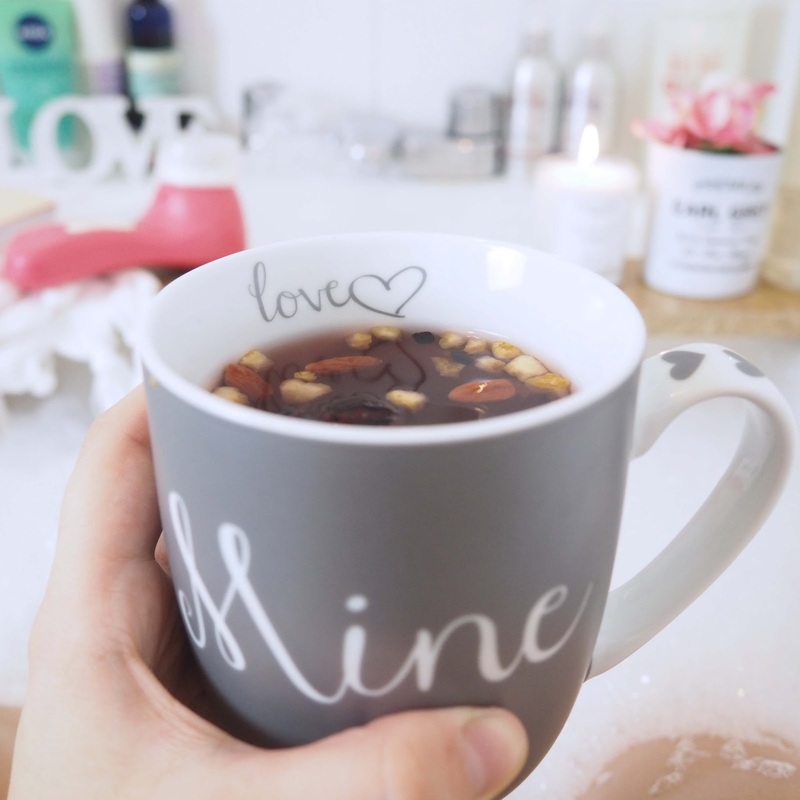 I have this stunning new collection of my mugs from Next.co.uk I just totally adore! Read here about my previous Valentines post. 5. Candles!First thing you want to do is do some get some preps. I mean candles! Yay! My absolute favourite ones are chunky candle from HomeSense with lovely delicate scent (will last the whole weekend burning non-stop) or get the aromatic from Chelsea. 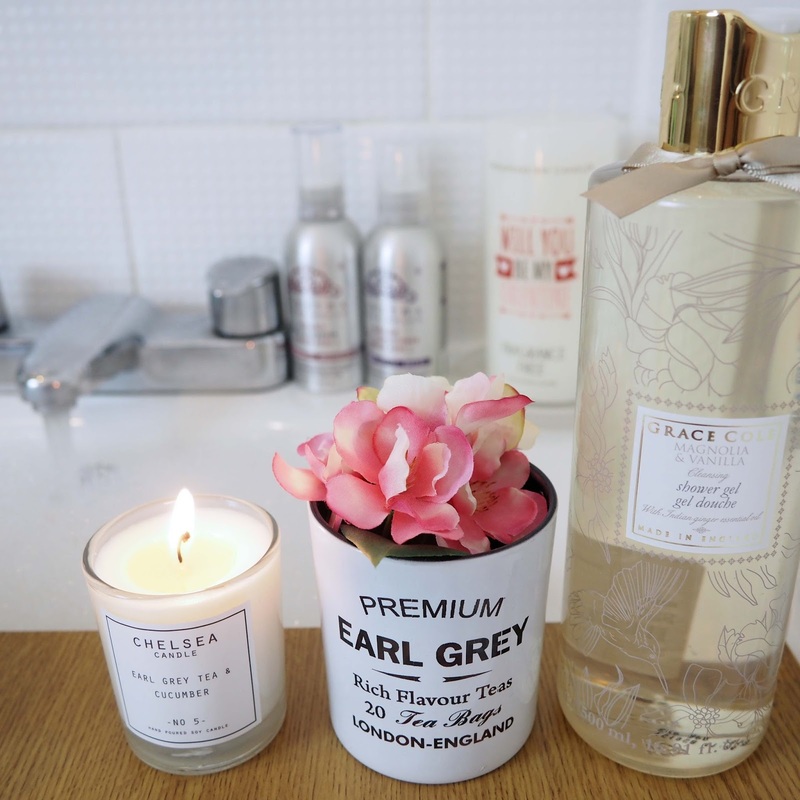 I am addicted to Earl-grey tea so candle in this scent is must! 6. Soft towel! I got my towel from Homesense as well. I loved the Turkish style with fringe! Something different! getting of bath and wrapping in this is a new experience! 7. Flowers! You do need them. I got mine’s from Homesense again, as I bought bunch of artificial flowers but is you want real then better! i just couldn’t resist these! 8. Hair and body wash. Make sure you chosen for this one, very scented ones! 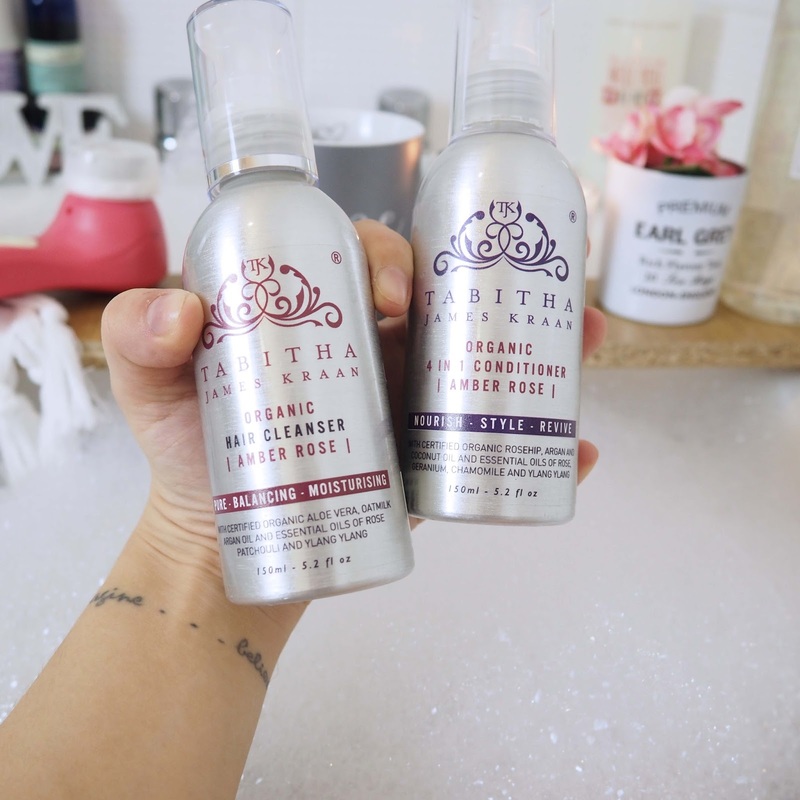 I just got sent for review Tabitha James Kraan collection I totally love! It’s natural and organic product with lovely month scent! I also got shower gel from Homesense with magnolia and vanilla scent! 9. Face mask! That’s something you do need! It will clean you skin, and add the minerals you need. I know, this suppose to be a normal routine but try to use the special one that day. Maybe amoe expensive one? 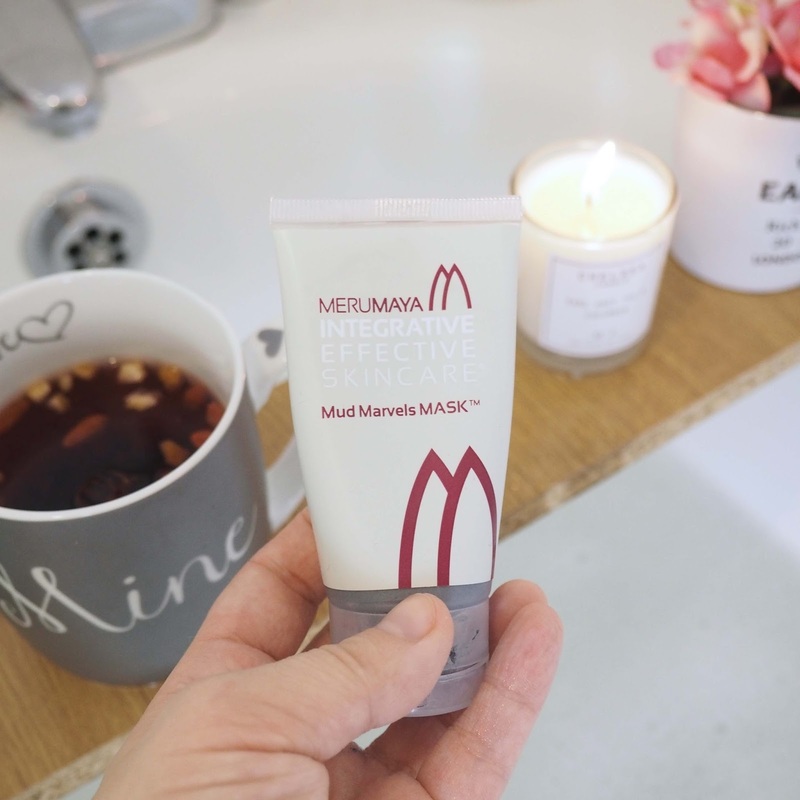 I tried MeruMaya mud mask . Just perfect. 10. Perfect underwear. Whether you go out, or stay in, you want to get little different. Don’t get into you comfy onesie, I know it’s very tempting, but this day is for you. It’s to make you feel special. You are a woman, and you want to feel woman. Buy yourself beautiful lingerie you always wanted. I got mine from boohoo.com and I totally love it. The black lace bralette is so delicate but so comfortable as well. My other choice for those who don’t like lace is this fabric brallete with stripes in back. It’s like super comfortable. As you can see Valentines is not only for those who are in relationship and in love. You can pick valentines as Me day, from now on! 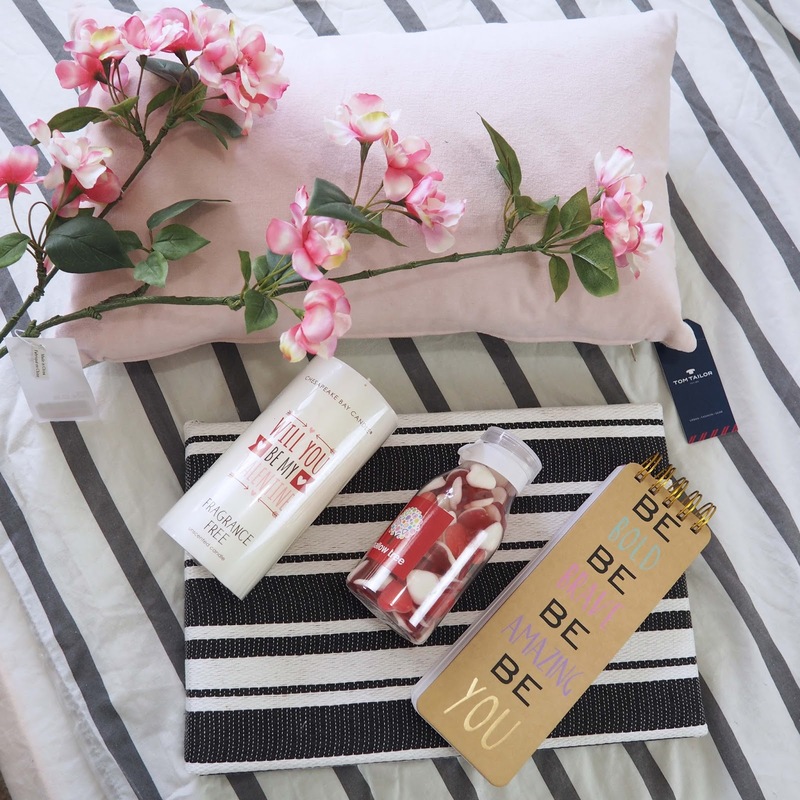 Indulge yourself with stunning underwear and treat yourself with bubble bath. make this evening as ritual. Don’t stress! Do everything nice and slow. Order pizza, who cares! it’s your day! don’t calories this day and get the biggest ice cream ever. Save the episodes of pretty little liars and most of all, Enjoy yourself! When it comes to ‘me’ day. It must be all about me! My very own spa day finishing by beautiful underwear, it something to make me feel 100% woman! Aww thank-you for these tips, I'm probably going to feel a bit lonely because my boyfriend is in America! Such an awesome post. I wish I could do this but it's not really possible with a small baby. Have a great Valentine! ? It's lovely that you're dedicating the time to yourself and looks like you've got some great things planned! I won't be able to spend this Valentine's Day with my boyfriend either as we're in different countries so thanks for these ideas! ! 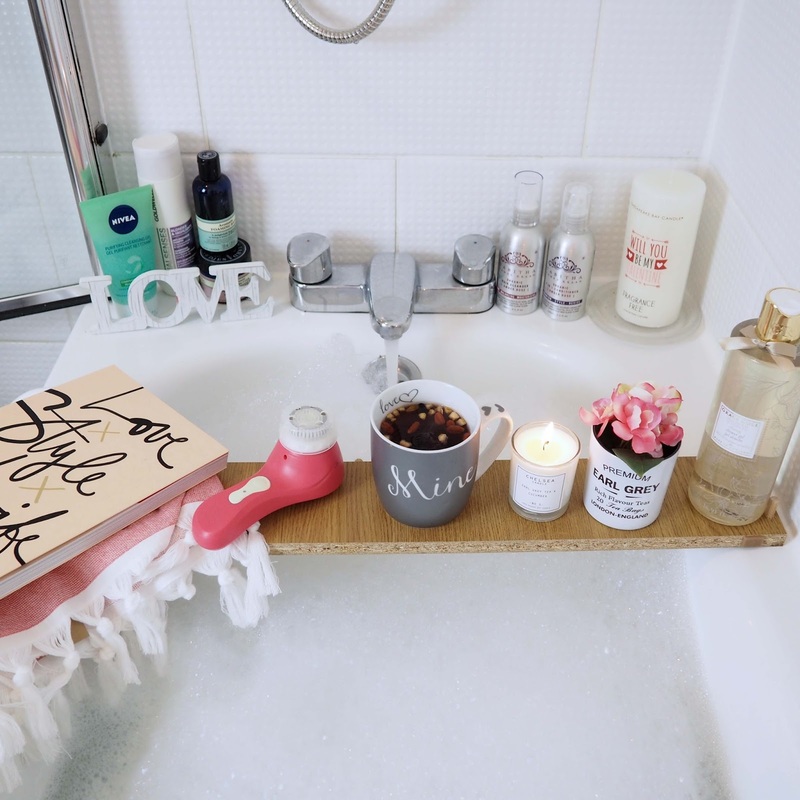 Lovely ideas for spending time pampering yourself. Sometimes I think we have to remember to treat ourselves because others will judge us by the value we put on ourselves. I don't think Valentine's Day is just for couples, I think it's a great time to tell your friends and family how much you love them too. You're gorgeous! I really think I need to spruce up my underwear draw after seeing those!